8/28/15 – Update v5.5 Jigsaw Puzzles! 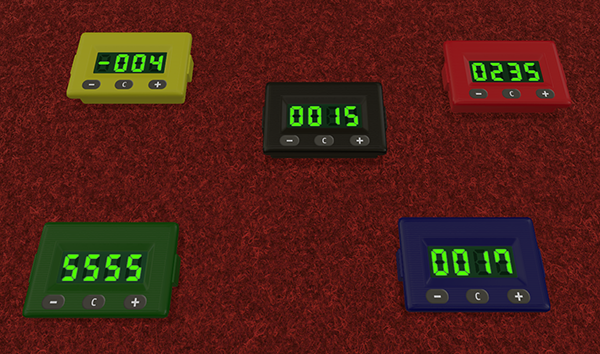 Digital Counters! Randomize! Oh my! 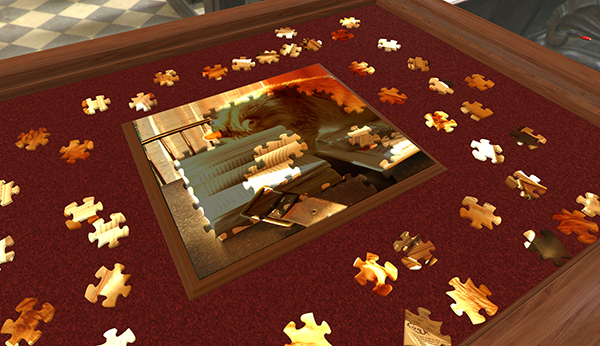 We’ve been pondering jigsaw puzzles for some time and our first iteration is now live! Try it out and let us know what you think. We’ll be improving on this as we go along and there will be other variations added in the future. Another great new feature is digital counters. You no longer have to use the notepad to keep track of things! Just take out a counter and use the +/- keys to keep track of anything your heart desires. You can even have negative numbers! Everyone can keep a counter in their own area and change the color of the counter. We hope this enhances your gameplay experience. Wait, there’s more?! You can now randomize your custom games. 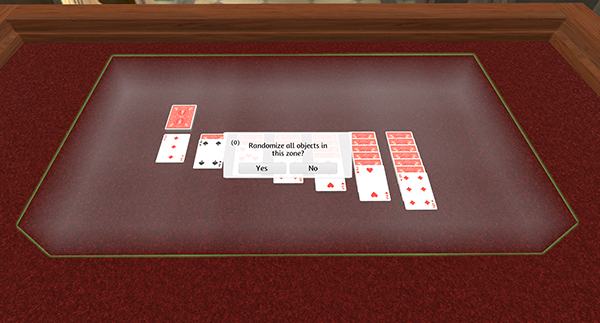 We have a new thing called ‘Zones’, in which you place objects you wish to have randomized. So if you have created games that need to be randomized each time, then this is perfect for it and gives you more control for your custom games. You can spawn jigsaw puzzles from the Games menu. Enter in an image URL in the pop up window to create an 80 piece puzzle. Puzzle pieces are randomly placed each time it’s loaded. Background of the image will show on the board so you know what it looks like and what needs to be matched up. More variations will be added in the future. You can keep score or keep track of counts with the new counter. Press the +/- buttons on the counter to increment up or down. Press the ‘C’ button to reset it to zero. You can click on the counter to type in a specific number. You can have both positive and negative numbers. You can now load up custom games that can be shuffled and randomized. ‘Randomize’ can be found in the new ‘Zones’ option in the side menu. Click randomize and draw a box where you want your zone to be. Any objects placed in this zone can be randomized. You can have multiple zones. When loading up a game with zones, a popup will ask if you want to randomize each zone. You can also right click on a zone and click ‘Randomize’ (must be in the ‘Zone’ mode). Added Skybound Insider signup information in Superfight DLC mode. Joining this program gives special benefits and rewards to its members. 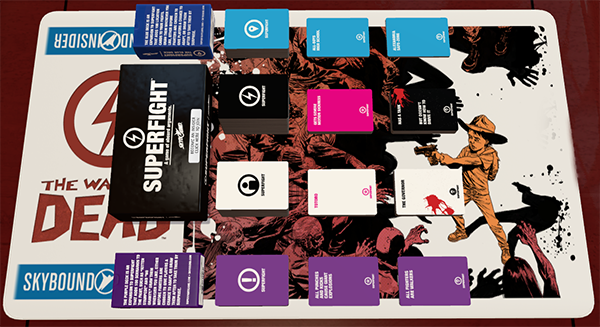 Insider members receive a special player mat that spawns under the Superfight DLC. 2D Pointers have been added to the side menu for those using the 2D hand. Added extra options to side menu and improved scroll sub-menus. Draw tool, Eraser, and trash can moved to the “Paint” option. Hidden areas and the new Randomize option added to the “Zones” option. Added a spin wheel when a player attempts to join a server so they know they are connecting. Blue “help” question marks added to most menus. Tooltip fixed in Custom Token menu. Added carets to the top drop down menu. Improved object size and shadows in the Chest. Fixed the “Congratulations” message in the tutorial. Improved the creation process of hidden areas to be much more accurate. Hovering over an object and pressing Raise or “R” will now roll a dice, shuffle a deck, or just throw the object in the air. Added a delay to transferring custom content to connecting client until after they have properly verified themselves. Improved sound of objects when a table is flipped. When saving an object to the chest, the list will now automatically refresh. When turns are activated, auto save works properly. Fixed ‘Didn’t register in time’ bug. Fixed hover typing a number on a deck of cards dealing to everyone. Fixed issue with unlocking objects in air falling through the table after mass selecting and locking. Fixed custom table not syncing when clients join games. Fixed spawned objects not making sound in the first frame. Fixed issue where you can’t drop a group of custom dice. Fixed autosave not working when changing table after flipping a table..